"The world belongs to those brave enough to take it." FULL APPEARANCE: R'tan is a handsome man, tall and well-built. And he knows it. He walks with confidence and a sort of easy athleticism. R'tan's style tends towards minimalistic clothes in dark colors to emphasize his innate good looks. He wears his blond hair a bit long and is generally meticulously groomed. He prefers not to wear shorts or short-sleeves as dragonriding has left him with a few scars he dislikes strangers seeing. No one who met R'tan would guess that he had ever lived at a minehold. Or served as a candidate and a white weyrling under the Mad Gold. He's confident and laid-back, with a bit of an ego. He's ambitious and wants to make a name for himself and can be pretty entitled at times, fully expecting his abilities and actions to be recognized and rewarded. It seems High Reaches' lessons to know his place and keep his head down never quite took. That said- he's not super crazy about bronze and goldriders and even brownriders aren't necessarily his favorite people in the world. 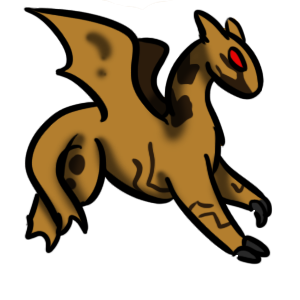 R'tan is a competent hunter and tracker, retaining much of his childhood training. He's athletic and intelligent, but also a bit impulsive, prone to assuming his innate abilities will be enough to get him out of any trouble. He prefers working alone or with a single partner as opposed to being in a larger team. While he is fairly vain, he's perfectly willing to get dirty and scratched up if that's what it takes because he's too proud to let a job go undone. That said, R'tan is not a bad person. He's friendly and willing enough to be kind if it doesn't take too much trouble. He approaches most interactions with a casual irreverence, taking neither himself nor others too seriously. He's not the type to form close bonds with ease, preferring a number of more casual acquaintances. He also holds a grudge. Some slights are too deep to be forgotten and while he may have to be polite for appearance's sake, he won't forget when he's been wronged. Ranatan was born in a small mining cothold outside Nabol Hold. It was a close-knit and relatively recently founded community, composed mostly of a small clan of related families. 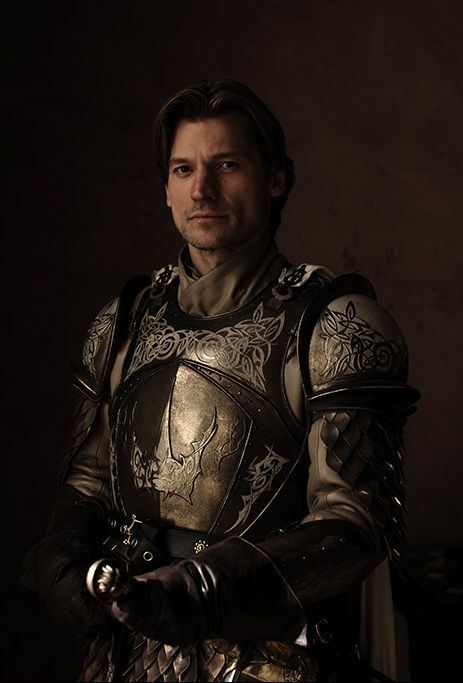 He was the firstborn son of the hold's only wherhandler, born alongside a twin sister only a few minutes younger. Ranatan and his twin, Ranalei, grew up together and were extremely close. Their hold was a fairly traditional one in terms of gender roles, however. Ranatan was expected to train with his father and Ranask so that someday he too would be able to help the wher inspect the mines, hunt wild game and protect the hold. Ranalei was to stay behind and assist the women of the hold with the many domestic tasks required to keep everything running. Ranalei rebelled. It wasn't fair for her to be stuck inside doing boring things, when she was smarter and stronger than her brother. Ranator laughed and declared a bit of competition might do his heir good. He took them both on his rounds. And the competition did indeed drive them both. They were both athletic and clever and quickly became adept at the tasks required to care for Ranask. But Ranalei was always just a touch better. She quickly figured out how to turn her smaller size into an advantage, squirming through the mines' tunnels with ease. Her temper was steadier, her wits less easily rattled and, most importantly, Ranask preferred her. The older men complained that it wasn't a girl's place to be their only wherhandler, demanded to know what they were supposed to do when someday she wanted a husband and brats of her own, but Ranator had made his decision. Ranalei would become Ranask's next handler and if she wasn't good enough? Then they could see how much they liked living without a wher! Ranatan was furious and demanded his sister turn down the honor. Ranalei refused. He asked his father what the forsk he was supposed to do now and was told he would mine, same as the other men. His uncle, a dragonrider from High Reaches, overheard the conversation and offered Ranatan another option. He could go to High Reaches and serve as a candidate. K'tor didn't tell his nephew any details about Golre's rule. Ranatan went without asking any questions. As High Reaches was always in need of candidates and not overly particular where they came from, no one objected. It wasn't what he'd expected. The Candidates weren't treated like the future saviors of Pern. They were treated worse than drudges. Ranatan was outraged and tried to run, multiple times, but there was no way home, not by foot. So he stayed. Three turns passed before he Impressed, to a small, but shiny white named Mazath. Weyrlinghood wasn't easy for them. Whites were already considered the lowest of the low and a white that dared to shine like a bronze? Unacceptable. An abomination. R'tan and Mazath fled the first chance they got, finding their way to Igen Weyr using coordinates smuggled in by a visiting green. R'tan left K'tor behind, still seething at his betrayal for all it had been five turns ago. After Golre's fall, they learned he had died. In the war or in Threadfall or from something else entirely they'll never know. R'tan and Mazath were happy enough at Igen, but when Semaca opened its doors, they decided to go. Word was a chromatic rider could rise far there. Late Summer, 2767- R'tan meets and quickly falls for Varda of Brown Magmeth. By mutual agreement, they become weyrmates after Nebulaeth's flight. Magmeth still refuses to stop calling him "scout". Oh, how am I supposed to decide now? FULL APPEARANCE: Mazath is of slightly below average size for a white but he has no trouble catching the eye. He's built small and angular and moves with rapid, slightly disjointed, almost robotic motions. 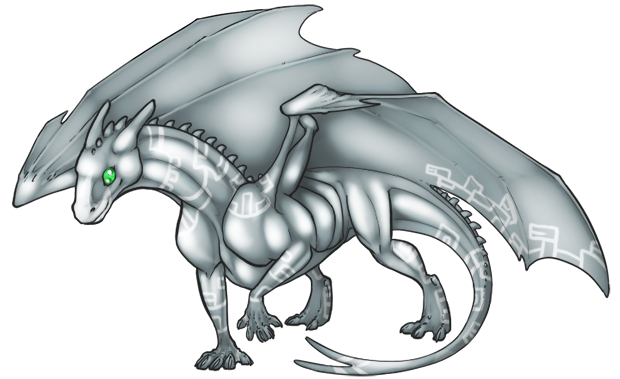 His hide is mostly a silver-grey, a fairly standard hue for a white, his markings white and cubic, appearing almost like circuitry. The most notable thing about Mazath though? For all he is undoubtedly white, he shines, same as any gold or bronze. The effective is striking and memorable and Mazath is not infrequently called simply that weird silvery one. And weird Mazath certainly is. He's a logical dragon, not the sort to follow his impulses, and prefers thinking and planning before he acts. Mazath prefers to gain as much information as possible. Sometimes, even when he knows perfectly well the answer, he'll ask questions as a means of convincing others. After all, if he can lead them through his train of thought, why wouldn't they draw the same conclusions? And sometimes...sometimes if there was just a touch more humor in his voice, you would swear he was just messing with you. That said, Mazath is ALSO extremely indecisive much of the time. He does not like acting before he is finished thinking things through and is not the best under pressure, when rapid decisions are needed. In a fighting context, Mazath relies very much on his rider and squadmates, choosing to follow others' lead most of the time. Outside of battle, this white doesn't have the easiest time making or keeping friends. He says what makes sense to him and doesn't have much of a concept of loyalty. Right and wrong are constants, regardless of whether it involves his rider, his brother or a stranger. Voice: Mazath's voice is high pitched for a male and doesn't have much variation in tone regardless of what he's saying.